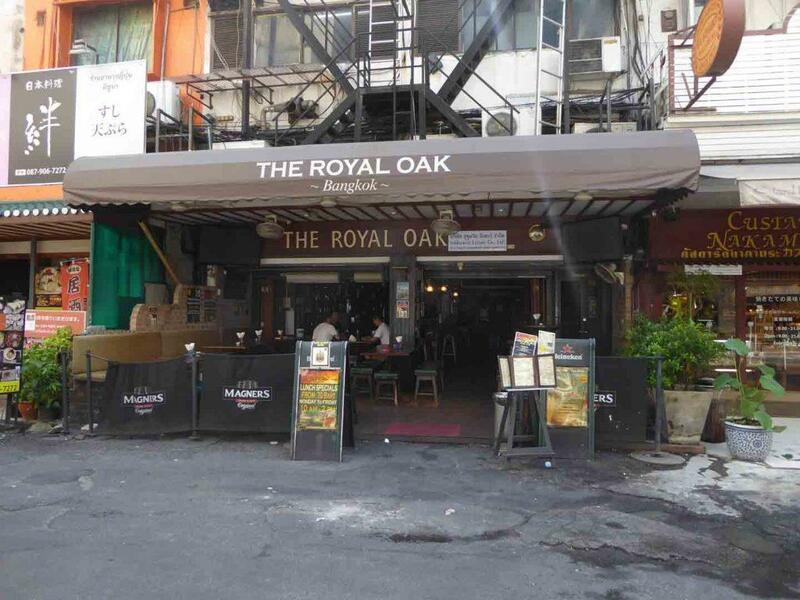 The Royal Oak is one of Bangkok’s oldest pubs with a 20-year history. 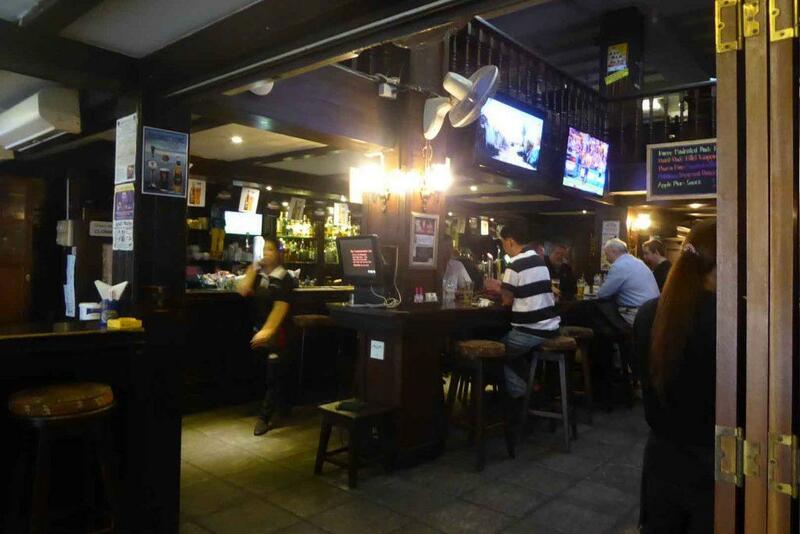 It’s a traditional British style pub on Sukhumvit 33/1. It’s open fronted with a large terrace. Happy hour is opening till 20.00 Monday-Friday, 16.00-20.00 Saturday-Sunday. 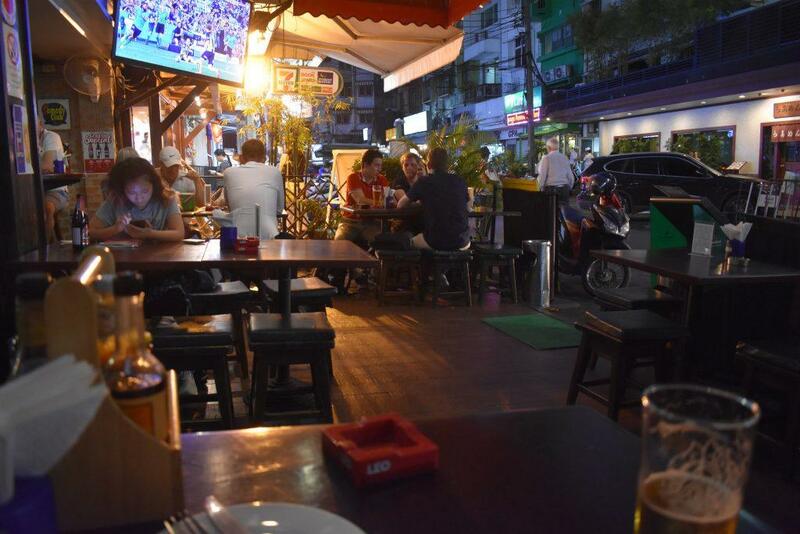 There are International pub grub and Thai food menus cooked by British & Thai chefs. The food and service are excellent. Good deals are the daily three-course set lunch menu at 249 baht. 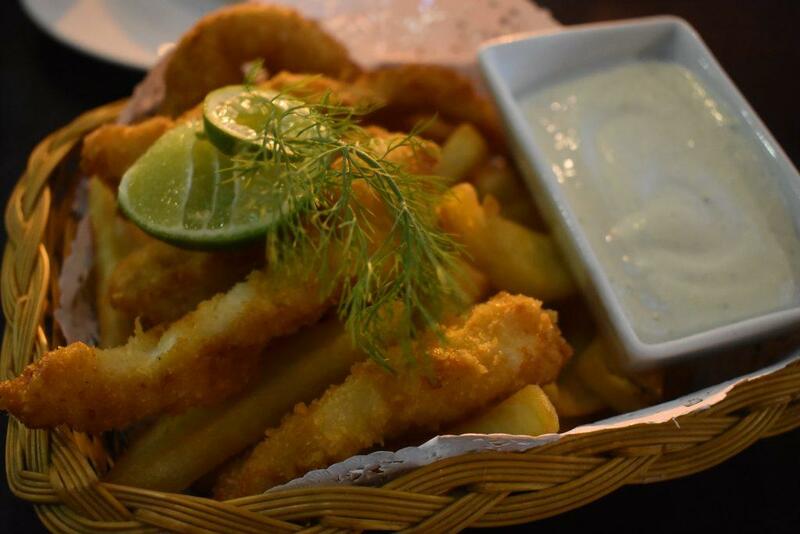 Also, fish n’ chips at 159 baht on Fridays. The weekly Sunday roast is good value at 295-345 baht. All prices are net. No ++. 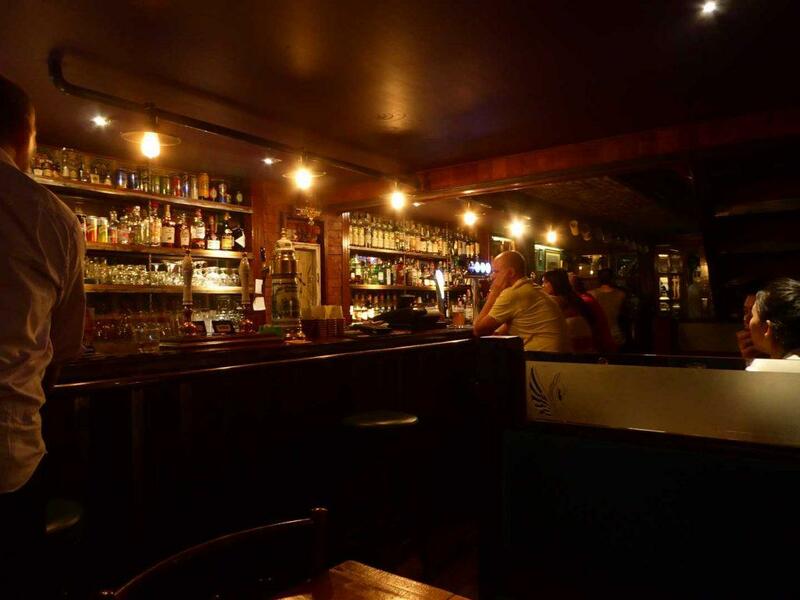 Draft beers include Leo, Singha, Heineken, Tiger, Asahi, Peroni, Old Speckled Hen, Murphys & Guinness. For cider drinkers, there is Magners & Aspells. Happy Hour prices for a pint start at 105 baht, and from 140 baht outside of happy hour. Entertainment includes occasional live music, and live comedy every Friday at 20.00. Tickets are 350-500 baht on the door. 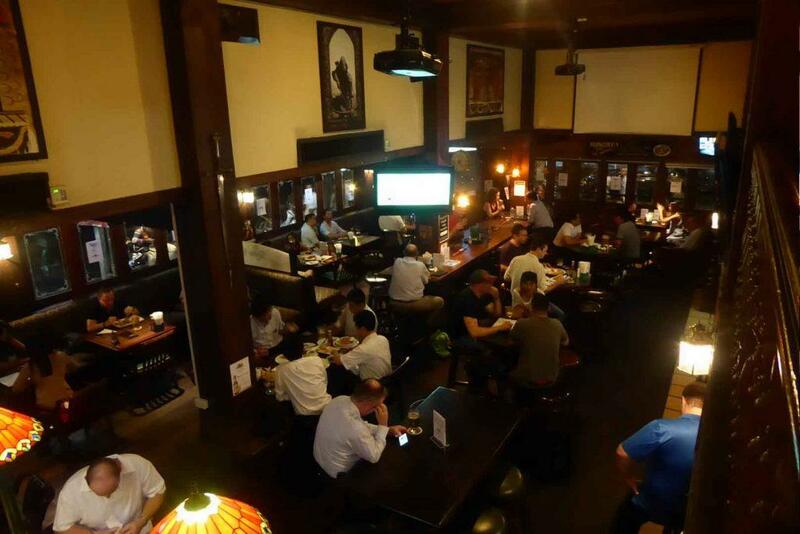 There is a popular pub quiz every Wednesday at 19.45 with a 1000 baht prize for the winning team. Thursday night is lady’s night from 20.00 with cheap drinks (for ladies) and a DJ. Most sporting events on TV are covered, sometimes with commentary. The clientele is mostly expat regulars and locals. There’s a great atmosphere. Location: Sukhumvit Road Soi 33/1. Getting There: BTS Phrom Phong (exit 6). 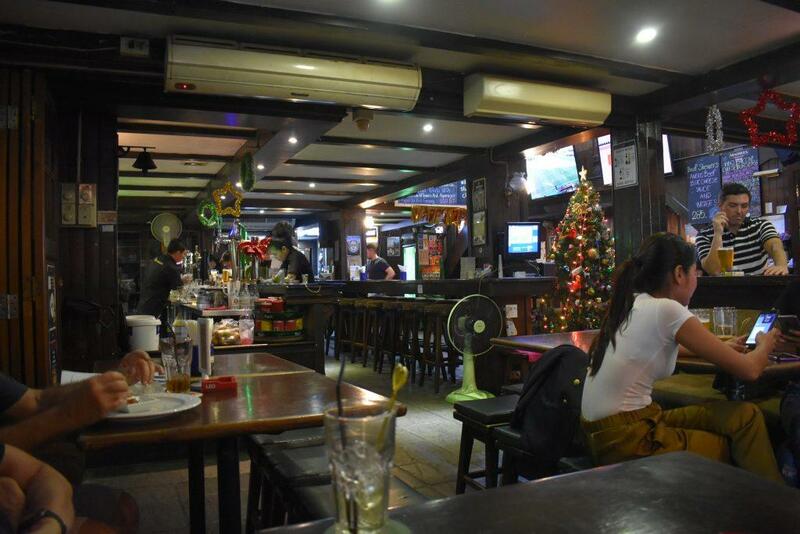 The Robin Hood is an English style pub on Sukhumvit road in the Phrom Phong area. There is a long bar on the ground floor with comfortable seating for dining and a balcony area with more seating and a pool table. Happy hour is from 16.00 to 19.00 daily and the restaurant serves International pub grub with the kitchen open from 09.00-23.00. There are live sports on multiple screens sometimes with commentary. The clientele is a mixture of expats and tourists. 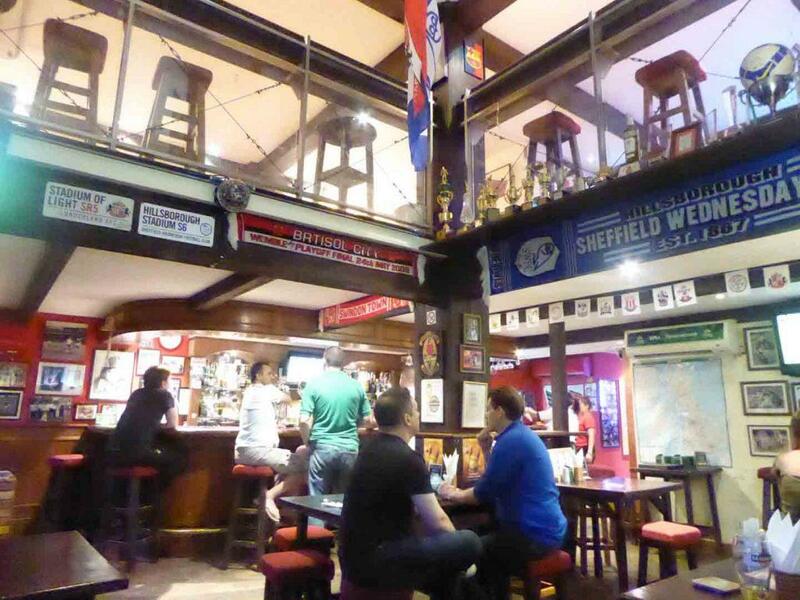 The Pickled Liver is a small living room sized pub with a football obsession from the scarves, shirts, and photos lining the walls and the flags hanging from the ceiling to the George Best pillows on the sofas. Naturally, there is lots of football on the TV with the EPL shown live. There is a pub quiz on Thursday evenings at 21.00 and live music on Friday’s from 21.00. The Pickled Liver is traditionally British with Old Speckled Hen on draft and sausage rolls, Indian curries and shepherd’s pie on the food menu. Happy hour is from 15.00-19.00 daily. The clientele is mostly expat regulars. 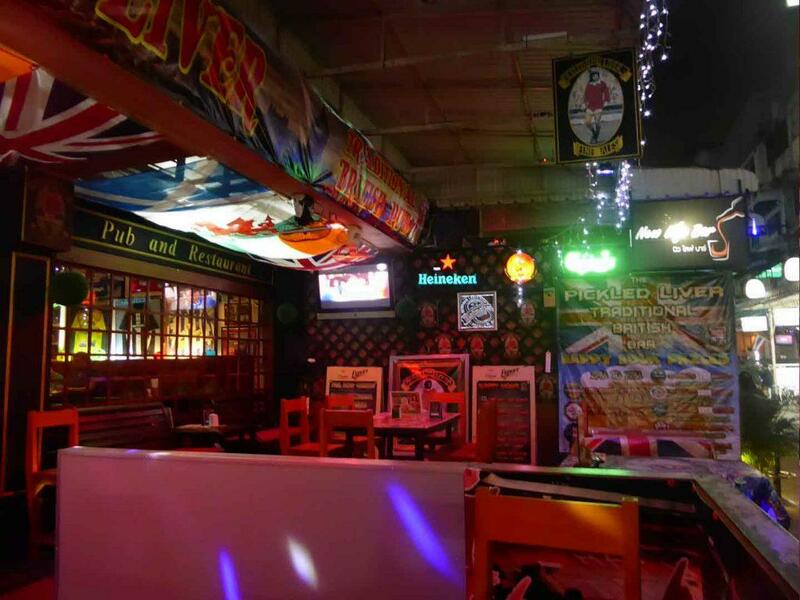 The Pickled Liver is a short walk from Nana BTS station on Sukhumvit 7/1. Location: Sukhumvit Road Soi 7/1. At the end of the alley. Getting There: BTS Nana station (exit 1). 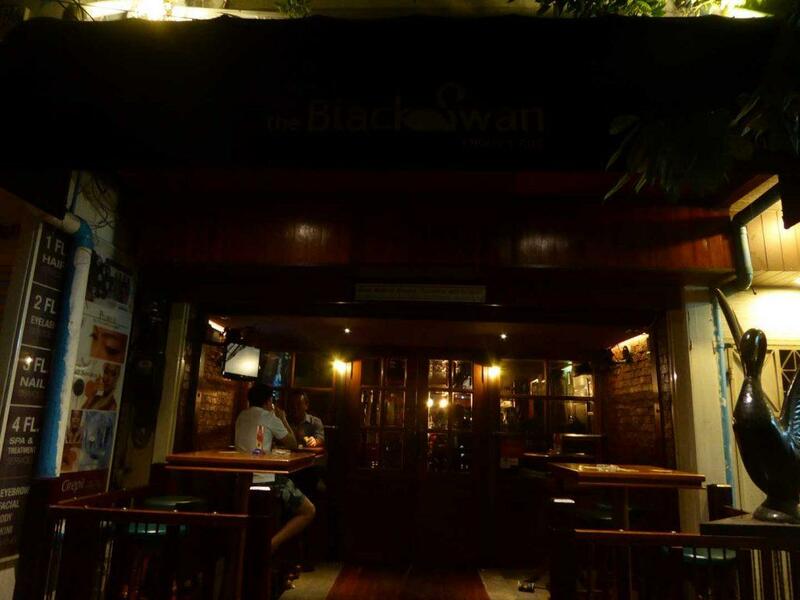 The Black Swan is a small intimate 2-floor pub located on Sukhumvit Soi 19. The ground floor is narrow with a long bar and comfortable booths while upstairs there is a dining area. There is an all-day international pub grub menu and breakfast is served from 08.00-11.00. 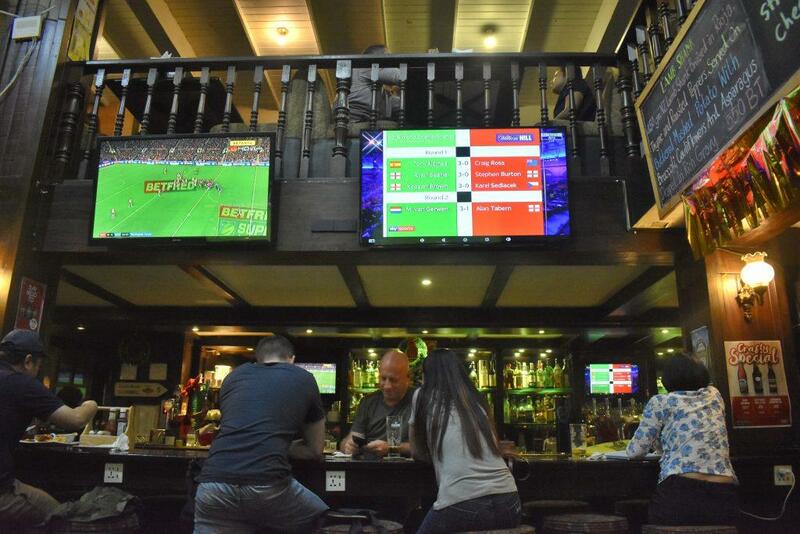 There is a daily happy hour from 14.00-19.00 and Live sport is shown on plasma TV. 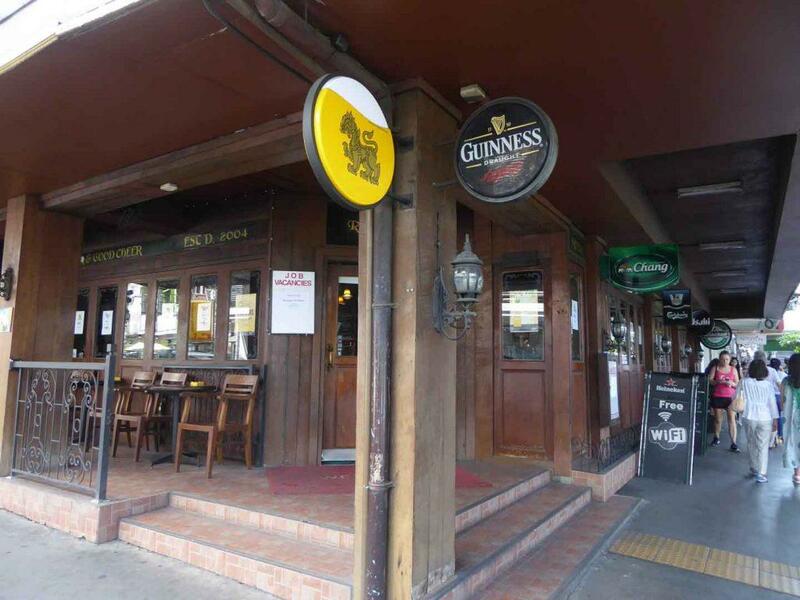 The Black Swan is a short walk from BTS Asoke & MRT Sukhumvit stations. Location: 19/32 Sukhumvit Road Soi 19. Getting There: BTS Asoke station (exit1), MRT Sukhumvit (exit 3).